With clients we always recommend they consider running some social media contests on their various platforms, just to get the proverbial 'ball rolling'. These contests have ranged from the old-school 'Page-Like' contest, which are now against Facebook promotion guidelines, to 'selfie' contests and perhaps even a larger incentive prizes like a paid mortgage for a year!! Once your online audience has been established and you are interacting with members online a bit more consider a member testimonial contest. We typically run these for 3 weeks and promote them via emails, social media and social media ads targeted to members or social media users who have recently visited the Credit Union website. We recommend offering 1-3 larger prizes, like $200-300, to encourage members to share their experiences. You should also make sure to require 2-3 short paragraphs so you get meaningful entries, and each entry should also have a visual, as these make the testimonials seem more believable. 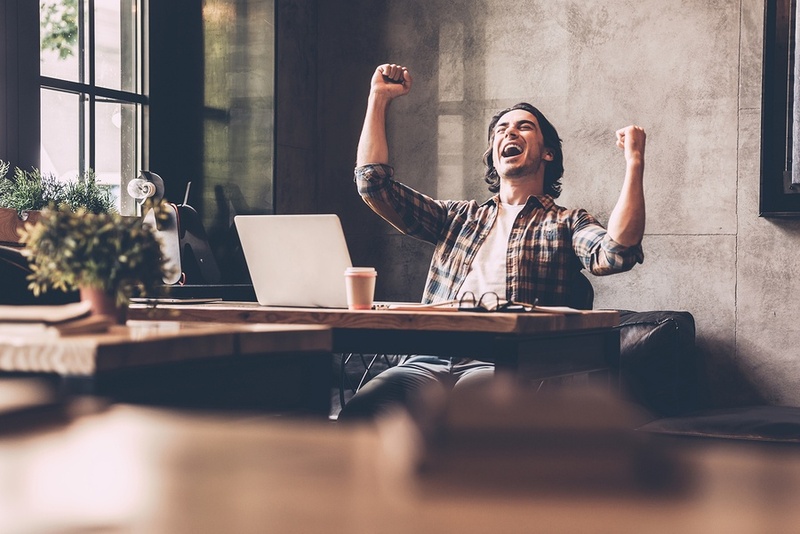 These contests typically yield 20-30 amazing entries (depending on your size of course) and the testimonials can then be used throughout the rest of the year to promote your Bank or Credit Union in emails, ads, blogs and other online assets. These are absolutely the BEST place to begin for many FIs. We suggest running these internally without a third party app. The goal of the contest is that you are trying to mobilize your greatest asset, YOUR STAFF, to promote your new social media marketing campaign. We've had tremendous success with these staff-only contests in the past offering a nominal prize of only $300 cash. You simply send out an email to all staff telling them they will be automatically entered for liking the CU or Bank Facebook page or following you on Twitter or Instagram. Then the real impact comes when you tell them that for every friend they invite and get to like/follow the page they will be entered an additional time. We've seen single staff members account for upwards of 75-100 new page likes in just a matter of days! With the rules always changing on Facebook it's hard to know what contests will work and which will not. 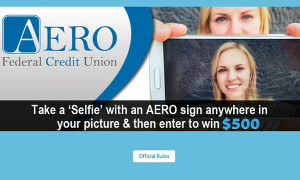 However, we loved a 'selfie' contest we did with a Credit Union in Arizona this a couple of years ago. The rules required that the person take a 'selfie' with the CU's sign somewhere in the picture and then submit their picture for a chance to win $500 cash. We had great total reach and engagement with the contest and grew the total Facebook page likes by about 10%, even though we did NOT require a page like to enter the contest, as that is no longer allowed by Facebook. For this contest we used the Shortstack Third Party App to create the entry page and then manage entries and select a random winner. This was very effective, though for organic reach it would work better to run this kind of contest as a Timeline contest, and track entries manually. This would be more time consuming, but would offer more reach to friends of fans on Facebook. We also recommend that you brand your contests and publicize them in all your images on Facebook (see example Facebook header image below), Twitter and any other platforms you're active on. And one last tip, keep the contest SHORT! This give people a sense of urgency to enter and will increase your total entries. Our clients also blog about the contests before and after they are complete. 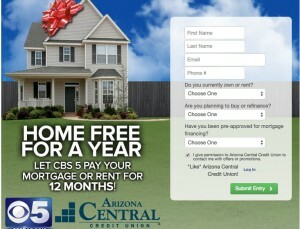 These are truly the ideal kind of Credit Union or Bank social media contest, if your FI can afford them! However, consider a smaller prize, like a one-month mortgage payment or one car loan payment. People love the idea of getting such huge necessities of life for FREE! In the example below you will see a very large Credit Union who partnered with a large local news affiliate to increase the reach and publicity of the contest. In all likelihood this was a very successful effort, but you can mimic this on a smaller scale very easily. 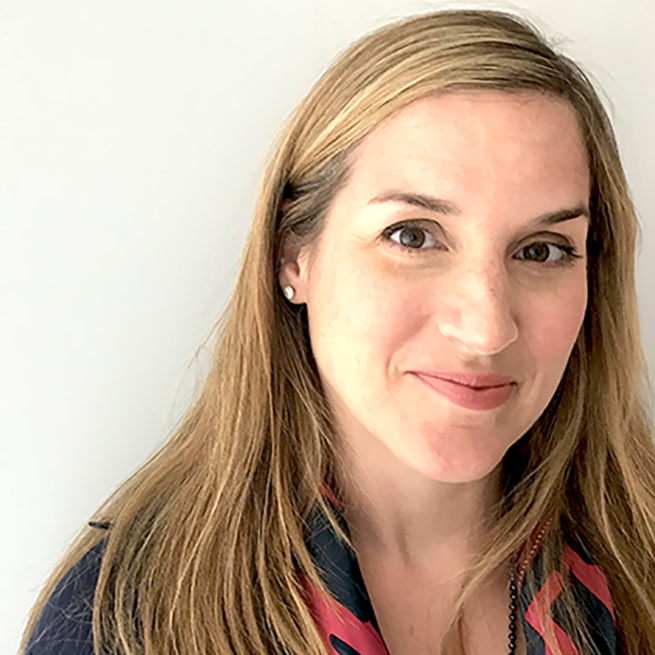 Consider partnering with smaller local businesses, like a popular local retail store or restaurant, to give both your FI and the local business a boost online. If you'd like help with your Bank or Credit Union's Social Media efforts please contact us, and feel free to share your contest ideas below!